is a powerful dog to protect their homestead. American Pitbull Terrier dog originating in the United States, Pit bull dogs came to the US in the early 1800s as a farm dogs and guardians. Personality and indomitable courage, it has developed by crossing Staffordshire bull dogs and original american pit bull terrier's , become Pitbull nowaday. The United Kennel Club recognized these breed in 1898. 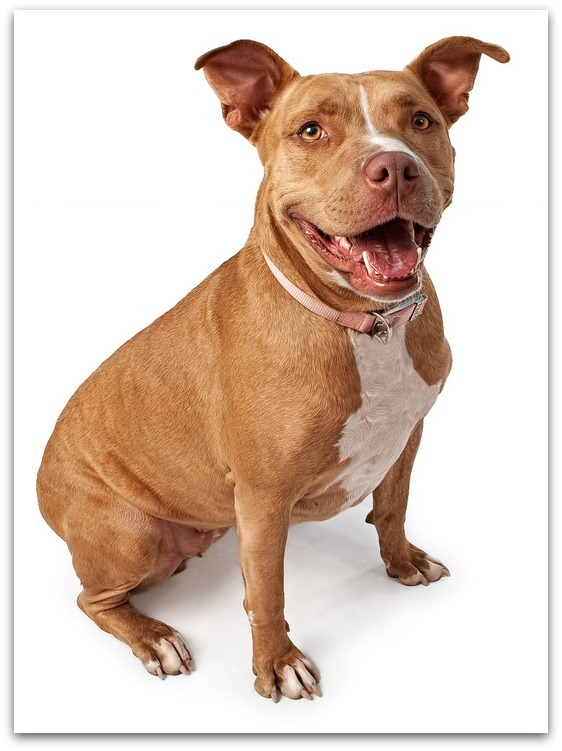 The Pitbull is a medium size dog breeds. Pitbull has a smooth and shiny coat, tight,but short and shiny hair. The body is strongly muscular, stocky, and these dog is extremely strong of it's appearance. The coat has variety of colors, it can be any color. American PitBull Terrier is a bright, and very obedient, this breed enjoy learning very much. The training should be respect, firm yet fair, and dog owner should be put lot of patience on the dog. Training for early socialization,manner and obedience training is a must for these breed. Grooming this PitBull is easy. The smooth, short-haired coat can be brush regularly with a firm bristle brush or curry bumb, and bathe with dry shampoo when is necessary. American Pitbull Terrier dogs have beautiful curves, healthy body, strong will, extremely intelligent mind, rely on and trust of the people extremely. They are also very tolerant of kids and take roughhousing well. The breed is very violent aggressive towards other animals, aggressive, good skin is not a stranger, must be train by a experienced owners, and should began intensive training in small.